It is always a good idea to go with a cryptocurrency exchange that has a good reputation and a large number of loyal, satisfied clients. However, when faced with the difficult task of choosing between two such exchanges, it is time to take a closer look at all the aspects of the services they provide. 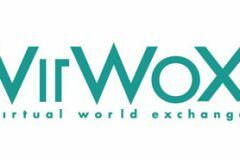 The following VirWox VS LocalBitcoins comparison is designed to help you make a quick, safe, and smart decision. PayPal, Credit/Debit Cards via Skrill/Moneybookers, paysafecard, Ukash, SOFORTbanking, and bank transfers.